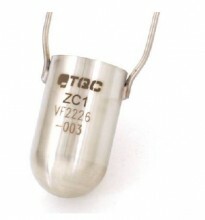 The TQC Viscosity Cup ASTM D1084 D4212 Immersion Zahn is a range of stainless steel viscosity cups with fixed stainless steel inner cavity nozzle and handle. Ideal for measuring coatings and other fluids during application or production. buy vistagra online safe b.uyci.alis.o.n.li.n.e. Klik tombol di bawah untuk menambahkan Zahn Cup ke Daftar Keinginan Anda.